Pharmaceutical Rules Guide from C.H.I.P.S. 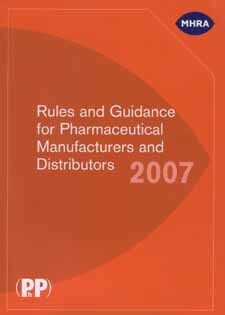 Commonly known as the Orange Guide, this title is an essential reference for all involved in the manufacture or distribution of medicines in Europe. Although much of the text is available elsewhere, the Orange Guide collates in one convenient and authoritative source European and UK guidance documents and information on legislation relating to the manufacture and distribution of medicines for human use.